Storytelling can be a collaborative process, but here's one partner too few writers collaborate with: Their computer. And we're not just talking about a decent spell checker. 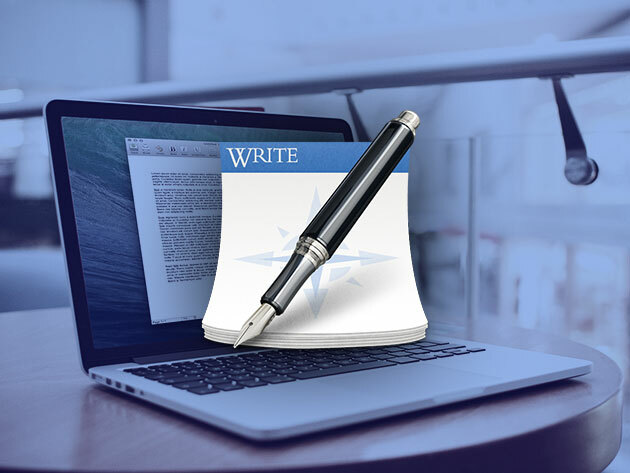 Software has evolved to help more than just a writer's grammar, and you might just be surprised at the headaches the Storyteller's Essential Mac Bundle can save at every step of the writing process. What you've got here is six of the latest apps designed to get stories from the first page to the final draft. Yes, there's a state-of-the-art word processor (Mariner Write) and script formatter (Montage). But you also get Contour 2, a program that helps you understand the elements of a winning story and apply it to your own outline. You can get intuitive help on character creation with Persona, organize your timeline and kill cliches with StoryMill, and hear your characters speak (literally!) with the Narrator dictation app. No matter what your genre or medium, you've got a helping hand in this bundle. The Storyteller's Essential Mac Bundle is currently on sale for $19.99 - a full 90% off the cost of the individual apps.